Ladybrand is very centrally situated in South Africa. 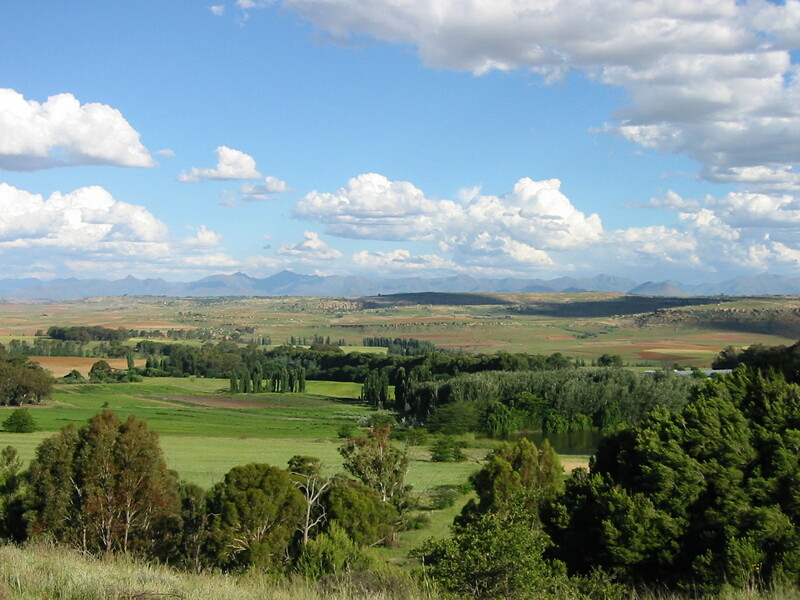 We are 4 hours south of Johannesburg, and 1hr 40 min east of Bloemfontein in the Eastern Free State. From the Reef take the N1 South as far as Ventersburg. Then proceed - Senekal, Marquard, Clocolan, take the R 26 towards Ladybrand for 20 km. Turn left onto the gravel road S 881, this makes a T junction with the S 331, left again, over the bridge, past a church and turn right at the Alpha Estate sign. Follow the farm road , turn left around the silos, right into an oak avenue and turn right towards the house before the last 2 oaks. From Bloemfontein take the R 26 past the airport to Ladybrand. Bypass Ladybrand in the direction of Clocolan. 3 km out of town turn right into the S 331 and proceed as above. From the Eastern Cape go Aliwal North, Rouxville, Zastron, Wepener, Hobhouse - Ladybrand and proceed as above. Please phone 051 924 2086 or sms 083 2280223 to check that we are at home.